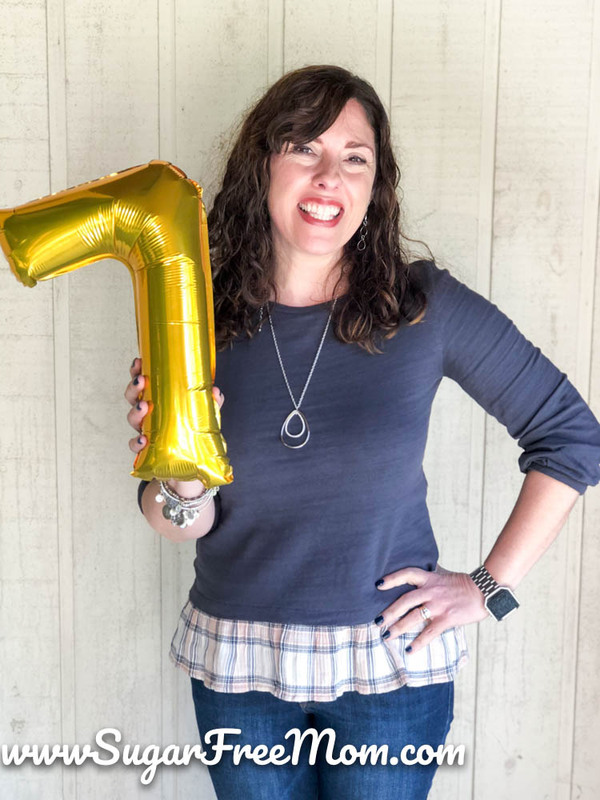 The SugarFreeMom blog turns 7! 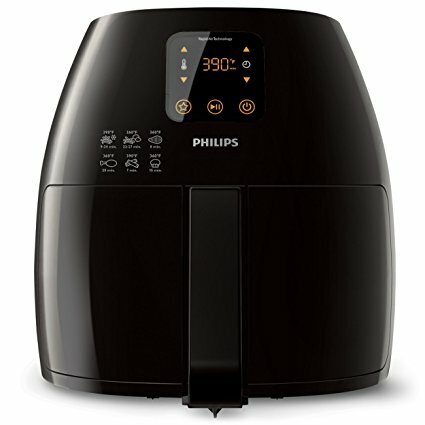 In celebration, I’m giving away a Phillips Air Fryer to thank you for following me and sharing my keto low carb recipes! It’s officially the birthday of the SugarFreeMom blog! My first ever blog post was October 21, 2011! I was so scared to hit publish! So many things have changed in 7 years of blogging, not only personally, but professionally in the blogging industry. Blogging is certainly not for the faint of heart, especially when you put your heart into writing a blog post and you’re being reviewed by so many others online. I wouldn’t change any of the hardship that I went through, it pushed me like nothing else. 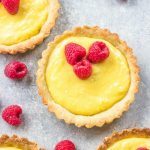 It provoked an insane determination to make this blog a career, to truly help others see my blog as a trusted source of tried and true delicious sugar free family recipes. Back in 2011, I was a very amateur photography with a small point and shoot camera, yet God somehow blessed my efforts and allowed a few recipes to go viral on Pinterest even with the worst of pictures. The first year of blogging I only posted once a day on my Facebook page, believe or not, and in the first year my blog grew to 10,000 fans on FB. That made me certain people were really looking to cut sugar out of their lives and desired the recipes I was creating. Now I have over 300,000 fans but it takes a whole lot more work than posting once a day to keep up the momentum of being seen on everyones feeds. Nonetheless, Facebook has proven to be one of my favorite places to connect with my followers. 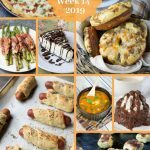 Here are some of my favorite recipes that have remained viral recipes since I posted them years and years ago! I thank God for that every day! But this guy you see below! My youngest brother Ricky. Owner and lead designer at Ninebuzz– mobile apps for music education and practice. He started it all for me! He suggested the idea, he created the website for me and took care of all the details for a really long time! I would never have started or even thought to start a blog if he hadn’t mentioned it to me. In fact, I truly never read blogs or understood why anyone would have a blog, especially a busy mom of 3 like me. 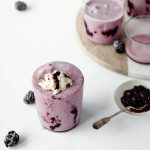 He sparked my interest when he shared how I could actually make a living doing something I was already doing; creating sugar free recipes for my family and friends, but I could help many others on a bigger scale through my blog. If people liked, needed, enjoyed my recipes I could even eventually make an income. That intrigued me enough to get started, because I truly knew that God had called me to create sugar free recipes for myself and to help others. I of course did hope one day, I could stop teaching and tutoring so I could be home with my kids while they were young, so making an income was motivation as well! My brother continues to inspire and challenge me in my business. It was a few conversations at our childhood home that provoked the new VIP Membership option on my blog! He’s always making me think how I can grow and expand to reach a wider audience and share my knowledge of being sugar free for 14 years. I am so grateful to him! In honor of my 7 year blog birthday, I’m giving one lucky reader a chance to win this awesome Phillips Air Fryer XL!! Contest ends on Sunday October 28th at midnight eastern time zone. Giveaway is only open to US residents, sorry! You must be 18 years old to be eligible. If you are randomly selected as the winner you have 48 hours to respond by email before another reader is chosen. I love the cabbage roll soup. I’ll be making a pot of it this weekend. Keep up the good work! Happy Anniversary! Love your blog! Thank you! We love the Bacon Cheeseburger Cauliflower Casserole! Congrats!! Love your Low Carb Orange Creamsicles… YUM! Love the 3 ingredient peanut butter fudge! I love all the mug cakes and pudding recipes. If I had to choose one it would be the chocolate pumpkin mug cake. My family is very picky and won’t eat most of what I do, and these recipes allow me to eat how I should without having to make massive portions that will just get wasted when I can’t eat it all. Your website is an incredible help to me. Thanks for the chance to win. I love all your recipes, I don’t think I could pick just one…but your desserts are always divine. My family is a huge fan of the bacon cheeseburger casserole! YUM! Thank you! Would love to try an air fryer. Happy Birthday to the Blog!! We just had the Crockpot Low Carb Unstuffed Cabbage Roll Soup again last night! So yummy! Yay! Hope I can win! My favorite recipe is the oven fried garlic parmesan green beans….I’m a garlic lover and I green beans are one of my fav. Your Low Carb Antipasto Cauliflower Rice Salad recipe is my favorite. I love anything peanut butter…peanut butter fudge, yeah that’s #1! 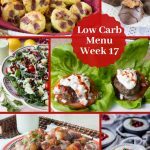 I absolutely love your low carb taco cups made with coconut flour! They are SO SO good. I haven’t made a recipe from you that we haven’t all loved, though. Thanks for what you do! Grateful to have a go-to place for healthy recipes. Would love to win this and take on a trip to my inlaws house to use. Happy Birthday! In my house we love the crockpot apple oatmeal! And I always do your English muffin and of course we just had the snickerdoodle hot chocolate!!!! Husband loved it! My favorite is the sugar free pumpkin pie. Yhis sounds great for the holidays! I have not yet tried any of your recipes, but I cannot wait to do so. Happy Anniversary! Love you blog! I loooooooove the pumpkin dip!! Congrats on the anniversary! I bought the ingredients to make the cabbage roll soup and am cooking it up tomorrow, can’t wait! We love the mug cake recipes. Quick, easy and tasty! Congratulations on 7 years!! I love reading your blog and trying out your recipes. Cheers!! CONGRATUALTIONS on 7 years of blogging. Hard to decide. Chocolate Mug Cake I guess. I’ve used your recipes many times!! Love them. Chocolate mug cake! Happy Anniversary!!! There are too many recipes to pick a favorite. My family loves your Unstuffed Cabbage Roll Soup. My 15-year-old green bean hater actually likes the Garlic Oven Parmesan green beans. And I love the 2 Minute English Muffin!! Happy birthday to the blog!!! My favorite recipe so far has been the cinammon rolls! Oops sent too soon…love mug cakes…they are fast and can make up ahead time and they freeze wonderfully. I love the Fat Head Pizza Dough! 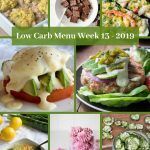 Thanks for making Low Carb livable! Peanut butter fudge is my number one! All my favorite things in one! I love your blog! Your recipes are awesome, simple and delicious. Next up, I plan to try your pumpkin cloud bread. Congrats on 7 years! So many people use air fryers and I’m so inspired to try one! They are pricey; if we don’t win this (fingers crossed) I will just have to save up for one. Thanks again for your recipes and support! My family loves the Crockpot Cabbage Roll Soup! The grandkids didn’t think they’d like cabbage until I made it! Thank you! Congratulations Brenda! That is fabulous! I love your cloud bread recipe! So hard to pick a favorite… Crock-pot Cabbage Soup is divine! Anything Pumpkin (pumpkin pie dip or Chocolate Pumpkin Bread) Coffee Cheesecake. Oh ! and did I mention the Cookie Dough Dip???!!! The sesame Shrimp Stir Fry is awesome too. Ok, ok… I’ll stop! So here for any recipe without sugar! I love your Pumpkin Custard. I enjoy reading your blog and all the great & yummy recipes you post. Thanks for all your help over the years. Hi, I really like your postings and have tried several of your recipes which have turned out well! Hope you will be feeling better soon. Please keep blogging! Happy Anniversary! Love your recipes. Congrats on 7 years! I love your Cloud Bread! God bless you! Congrats on your success. I will continue to enjoy your recipes and family sharings. I love the lemon coconut pound cake! You are one of my top “go to’s” and just made your cabbage soup this weekend. God Bless & praying for your health! Once how I would love to win this. I literally thought today how much I’d love one since I cannot eat any fried foods. Pumpkin pie dip will be my new favorite! 3 Ingredient peanut butter fudge! Yummmm! Happy Anniversary! I’ve tried so many of your recipes over the years but love the mug cakes, and the PB fudge and the bread and the….. 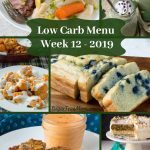 I recommend your site to anyone who is looking for sugar free recipes. I want to try the pumpkin cheesecake mousse!!!! Bacon cheeseburger casserole is the one! The cabbage roll soup looks wonderful and I look forward to trying it soon. My family loves your pumpkin cheesecake recipe. Found it last year and made for thanksgiving. But it’s been requested for other holidays and birthdays. It’s sonyummy and a hit with everyone in the family!! Thank you for making delicious recipes that taste good and are good for you too. Our family appreciates it. Congratulations!! I love the cloud bread, although I love all the recipes. They’ve allowed my family and children to get healthier and not so addicted to the rush of sugar. Thank you for your blog her is to many more years!! Since it’s pumpkin season, I’ll choose Healthy Pumpkin Pie Custard as my current favorite! Thanks for sharing your recipes. Could you come cook for me ! Love your recipes thank you for your hard work ! I like the Bacon Cheeseburger Cauliflower Casserole even though I have to tweak it to make it dairy free. I love all of the recipes. I think the savory recipes are my favorite. I like the Keto, Sugar-Free Paleo Snickerdoodles recipe! Your blog is the best one out there I look forward opening it daily to see what great recipes and hints you have. thank you for blogging. love your blog. congrats. love the truffles, cakes, and pies oh my! Hands down fave recipe is your cheesecake brownies! Love all your mug cakes. Give me something special even when it isn’t a holiday. Hi, I love your blog! Your recipes have inspired me to feel good in the kitchen again! I would have to say my favorite recipe on your site is the Low Carb Cinnamon Rolls! Absolutely the best!! The SUGAR FREE PUMPKIN PIE DIP..
Cabage soup and cloud bread!!! Congratulations! Best wishes for many more to come. I love the Crock Pot Sugar Free BBQ Pulled Chicken and the ketchup recipe that’s needed for the chicken meal! We also love the coconut pudding recipe. 2 minute low carb english muffin- it was so helpful at a time when I had to eat low carb, but constantly craved bread! Gotta be the cheesecake! But how can we pick just one? There are so many wonderful recipes and options for us. Happy anniversary! Love the cabbage roll soup. Sometimes i like to switch it out for Italian sausage. My favorite recipe is the low carb corned beef and cabbage. The first recipe I ever tried of yours was your low carb sugar free chocolate donuts. This was one of the first recipes I tried when I started going keto/low carb. After I made them and they were so good I knew I could stay with this way of eating. This is still one of my favorite dessert recipes and one that I pull out often for my chocolate cravings. Thanks for all you do. Your cabbage roll soup is a favorite! My absolute favorite is your Sugar Free Paleo Snowball Cookies. They are awesome. Thanks for blogging. Your ketchup is great. I was just looking through and realizing how many other great recipes I haven’t tried yet. We love the coconut pie crust because so many people we know are allergic to tree nuts. Thank you for making it and helping our family and friends live their best lives! Great news ,7 years congratulations! Love your blog. Happy Anniversary! I love the crockpot Cabbage Rolls, its amazing and one of my hubby’s favorites. We just tried the salt and vinegar zucchini chips. I will triple the recipe next time! I look forward to trying more recipes! Happy anniversary! I love all your posts! I love cinnamon rolls and the chocolate mug cakes they are easy to make and take my sweet tooth craving away. Funny note im trying to make your scones so I ca have them with coffee tomorrow hopefully I do it right lol. 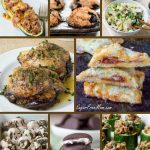 my favorite is the Cheeseburger Stuffed Zucchini Boats. Your salt & vinegar zucchini chips are what 1st brought me to you, but since then I have made my Facebook settings show your posts at the top of my feed! Such amazing recipes, such a variety! I’m so thankful to have found you! HI Alli, YOU”VE BEEN RANDOMLY SELECTED AS THE WINNER! CONGRATS! Please send me an email to confirm and reply with your mailing address please, you have 24 hours or another winner will be selected. Hope you love the air fryer! I am so happy to have found your site. Love the mug cake! Happy Anniversary!!!! I seriously love stalking you I mean following you lol. My favorite recipe is your keto cheese cake! One thing I missed during keto was cheesecake! Love the 2 minute cheesecake! & Thank you for being a low carb light on my Facebook feed! The cabbage roll soup is awesome! I really like your chocolate mug cake. I know there’s other recipes I’ve made and liked, but can’t think what they are at the moment! Woohoo! I like a lot of your recipes but I really like the cinnamon rolls! One Minute Chocolate 🍫 Mug Cake. Always something chocolate. Pumpkin pancakes! But I live so many of them, it was hard to choose! I love all your mug cake desserts. Love Love the crockpot low carb unstuffed cabbage roll soup. Happy 7th anniversary, love your food and your blog. I love the Garlic Parmesan Chickpea snack recipe. I had only found sweet recipes for Chickpeas in the past and was looking for something to help my daughter with potato chip cravings. This recipe is how I found your blog and I am very grateful to have found you! My next recipe will be the chocolate mug cake (to help with MY cravings). Thank you for being here! Also loved finding nut-free because it is hard to find healthy snack alternatives for my daughter who has life threatening nut allergies. I wish I had found you 15 years ago (obviously this is your 7th birthday so I couldn’t have” because NOBODY had heard of nut allergies like they do today. God Bless you! I love all of the mousse recipes! I’ve made them all. The pumpkin is a definite fave! I have really enjoyed several recipes, I am making the cabbage roll soup right now for supper. Thanks for the emails too, I always look forward to them. 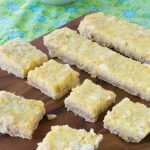 I am fairly new to your blog but have enjoyed saving recipes to try soon. 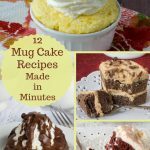 I can’t choose a favorite- favorite, but the 1 minute mug cake has saved me from cheating a time or two! Congrats on #7! Love all the recipes you post! Your 2 minute English muffin recipe with all the ways to make them . There are many other recipes too. Low Carb Avocado Toast! Yum and yum! You always have that recipe I was looking for, the one that touches my need for comfort food and sweet treats. Thank you!!! Congratulations on your 7th birthday. Your website inspires me and helps me to stay on track. Keep up the good work. Love, love, love the Crockpot Balsamic Chicken Thighs! I plan to try the Cabbage Roll Soup! It sounds wonderful as the weather turns cooler even in Florida! Happy Anniversary!!! Thanks for all the recipes. Any of the bread recipes are a life saver for me. That is the one thing that I miss eating low carb. Cloud bread and the english muffins rule! Happy Birthday/Anniversary! Love your site and recipes! Pumpkin cheesecake – especially this time of year. The Cabbage Roll Soup recipe sounds like a keeper. I will be cooking that this week. Thank you for your blog! The sugar free cheesecake brownie is definitely my favorite recipe! Your 1 minute mug cake is by far my favorite. 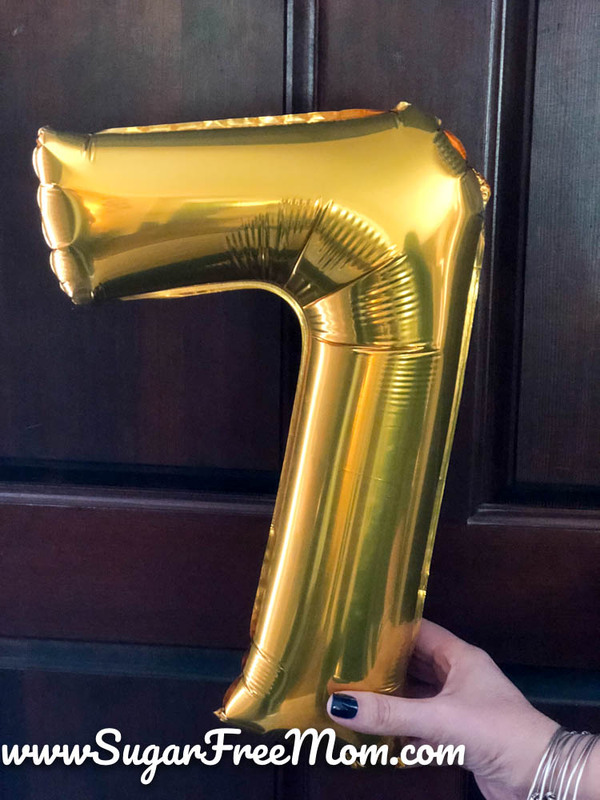 Congratulations on 7 years blogging! I haven’t used your recipes yet but I’m looking forward to doing so. Congratulations on 7 years! Love your blog and recipes. You are my go to for tried and true coconut flour recipes since it’s a tricky ingredient to get used to.
. So many good ones that I can’t pick just one. Happy Anniversary to you and your blog! Greatly appreciate all the wonderful recipes that you share. We recently tried your Apple Dump Cake and it was easy and delicious. Our new favorite for fall. Thanks for the opportunity. I love the One Minute Chocolate Mug Cake! Congratulations! Thank you for your recipes. My favorite recipe of your so far is the SUGAR FREE PEANUT BUTTER CHEESECAKE DIP I LOVE it! I love the cinnamon roll muffins. Slow cooker balsamic chicken thighs. Love that peanut butter fudge!! Congratulations on 7 years! God has blessed your business and you are helping so many people, like me! My favorite recipe of yours is the Peanut Butter Cheesecake Ice Cream!!! Yes He truly has, I believe that! Love the mug cake!! I could eat twelve of them in one sitting! LOL! It’s difficult to say which of your recipes is my favorite. I’ve made several. Recently I made the cinnamon roll muffins. They hit the spot! Thanks so much for all your wonderful recipes! Congratulations on reaching your 7th year mile stone. I love you recipes. I make the cinnamon roll mug cake all the time. I’ve been wanting an Air Fryer. Bought one last year during cyber Monday but it was defective and had to return it. I was so disappointed. Cabbage roll soup! It’s amazing. Peanut butter ice cream! Easy and delicious. Congratulations on 7 awesome years. My fav recipe is the Salt and Vinegar Zucchini Chips. My favorite would be the Oven Fried Garlic Parmesan Green Beans. I love garlic, parmesan, and green beans, so perfect recipe for me. Hands down taco stuffed zucchini. My 3 year old loves them!! Congratulations! 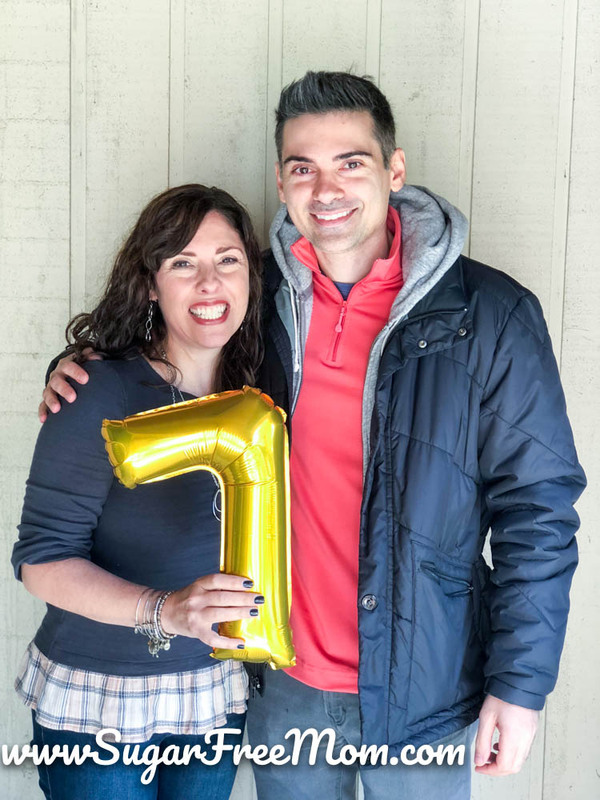 7years is a great start- you have many more to look forward to! Peanut butter fudge for sure!! Also mug cake! Hard to choose one. My family absolutely loves it when I make the candied pecans using your “Sugar Free Sweet Candied Bourbon Pecans” recipe. The cheesecake brownies sound great. Your Sugar Free Peanut Butter Cheesecake Dip is delish. 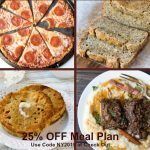 I discovered you a few days ago from a shared Facebook post with the recipe for Low Carb White Pizza. I saved it and plan on making it soon. So that would be my favorite recipe (so far!). We love those sweet and spicy sugar-free nuts. So good with pecans and almonds! I loveeee the pumpkin cheesecake truffles!!! Crockpot Cabbage Roll Soup. Everybody in the whole family loves it. Congrats! Recent follower and excited to see some recipes! One of my favorite recipes is the peanut butter cheesecake dip. I have loved everything I tried! Cookies the best! You are a blessing to so many! Pumpkin Cloud Bread is my favorite and a huge success with the kiddo that loves bread. Great healthier alternative! Congratulations on 7 years!! How awesome!! My favorite recipe is the low carb crock pot balsamic vinegar chicken thighs! 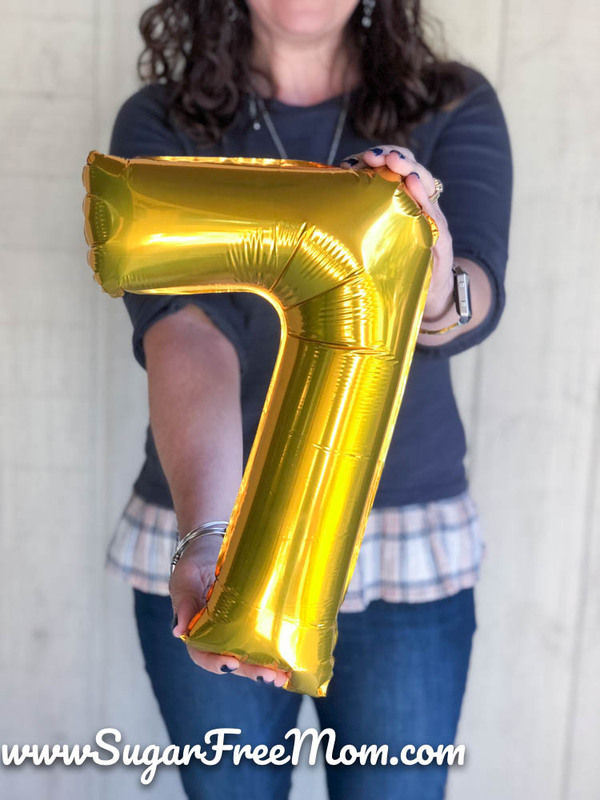 Happy 7th Blogiversary!!! I love your low carb no bean chili recipe! The Crock Pot Low Carb Cabbage Roll Soup is my favorite recipe! Happy 7 years to you! My favorite SugarFreeMom recipe is the SUGAR FREE PUMPKIN CHEESECAKE DIP. Being a diabetic I am always on the lookout for some great recipes. I am making this for an upcoming family gathering because I am not the only diabetic in the family. I really like the 1 minute Chocolate Mug Cake. I’m trying so hard to become sugar free. Working on a ketogenic diet but it’s hard. Thanks for a chance to win. Happy Anniversary Brenda! Thank you for all you do. What a blessing your brother and family are!